The availability of FPX services that appear in senangPay Payment Form are subjected to the availability of the listed banks provided by FPX to senangPay. This means that senangPay has no control on the availability of the listed banks. If the banks ONLINE, they will appear in the Payment Form. If the banks OFFLINE, they will not appear in the Payment Form. What is the availability time of FPX service? When will the list of the banks be updated in the Payment Form? The list is updated in real time, daily. May I see how it’s reflected in the Payment Form? Please refer to the image below. Please take note that if the Bank is offline, a red offline bar will appears beside the Bank’s logo and the Bank’s logo will become grey. What are the registered banks that are listed from FPX? 1. senangPay cannot control the availability of the listed bank in the Payment Form. 2. 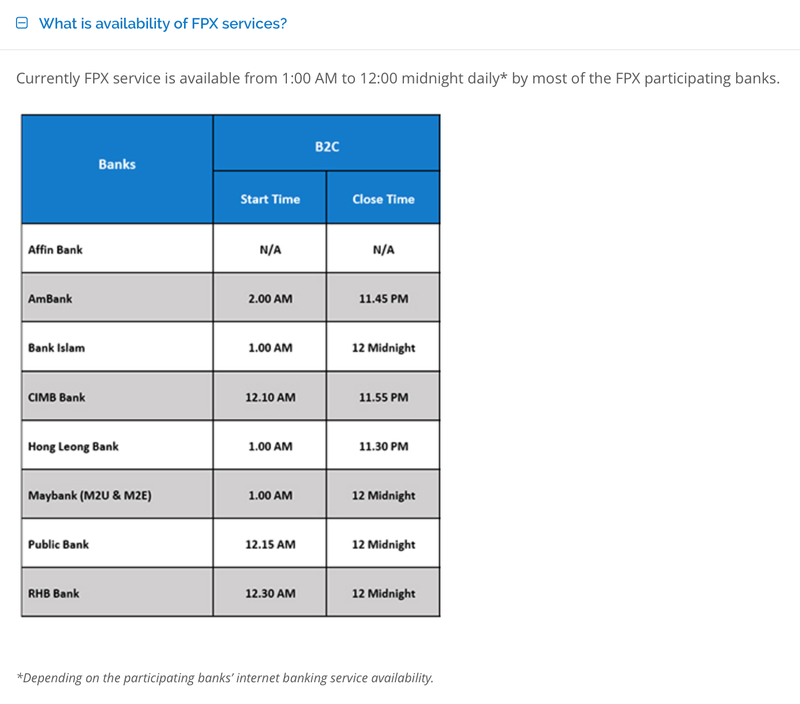 The availability time of bank’s services.